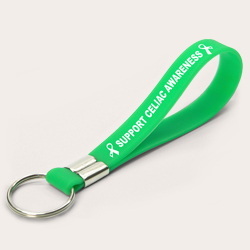 In case you weren't aware (sorry), Amazing Wristbands is the premier choice for a wide range of awareness wristbands and awareness bracelets. 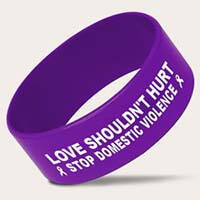 Cause bracelets are a simple yet effective option for spreading awareness or supporting a cause that you may be passionate about. Since the advent of the LIVESTRONG movement (associated with Lance Armstrong and his fight with cancer), silicone wristbands have become associated with a variety of different causes and movements. Different colors have come to convey various different meanings in the wristband world over the years, and with our extensive range we're sure you'll be able to order a color, style and message of your choosing for the relevant charity or organization that you're supporting. 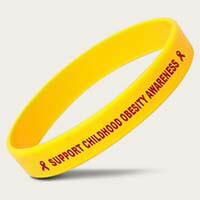 Donating rubber bracelets for a cause is a simple way of expressing how you feel, but an undoubtedly effective one. Subtle and unobtrusive yet stylish, the design of our bracelets for a cause goes with anything, meaning they won't look out of place with any outfit. 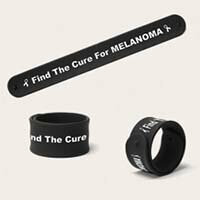 To get started, simply choose the style of wristband you'd like, and the message you'd like added to it, as well as the color, font and more. Our friendly, knowledgeable customer service team will be happy to help you through the process. Need your cause bracelets in a hurry for an event? Rush delivery is also available!